Our add-ins can be purchased with a fixed or local license that locks the use of the add-in to a single computer. The license is locked to the computer name. This licensing mechanism allows you to make almost any change to your system, including changing the operating sytem, without invalidating the license. In addition, licenses are sold in license packs to reduce the number of license keys you are required to manage. The add-in must be activated on each machine where it will be used, with each activation recorded against the number of activations allowed for your license key. A fixed license typically supports deactivating the license on one computer and then activating the license on a computer with a different name. There is a limit of one (1) deactivation/reactivation per computer. This enables you to move your license if your computer name must be changed. Some C-Cubed add-ins do not support deactivation/activation of local licenses. Check the product purchase web page for information on the specific add-in. Important: If you change computer names more than once and cannot retain the same computer name you must purchase a new license or use an activation from a previously purchased license pack. If this is a concern, consider purchasing floating licenses as these are not tied to a specific computer. 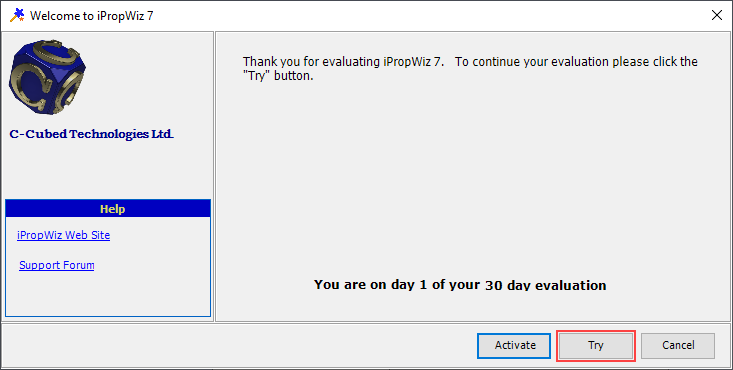 If the add-in supports both fixed and floating licenses, the Select License Type dialog box is displayed. Click Local License. Click OK. 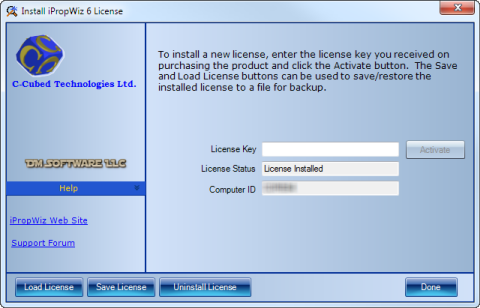 When the Install License dialog box is displayed, copy the license key from the e-mail you received when you purchased the add-in, and paste it into the License Key text box. Click Activate. The License Status will change to License Installed if the license activation is successful. Click Done to complete the activation. Note: If you do not have an active internet connection you can still activate a fixed license. See Manual Activation of a Fixed License below for more information. On activation, a license file is saved to the following location, where [add-in name] is the name of the add-in. Optonally, you can save a copy of the license file to another location. In the activation dialog box, click Save License. Save the backup with a descriptive name identifying the computer where it is used. You can also manually copy the file shown above to a backup location. See below for instructions on re-loading your license. 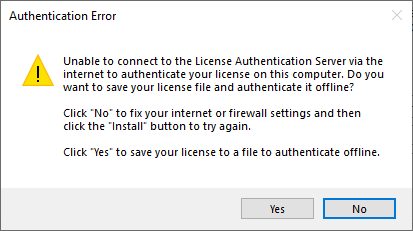 If the C-Cubed license activation server cannot be reached, an Authentication Error message is displayed. Typically this is caused by a firewall or proxy server on your system preventing access to the license server. Click Yes to save the license file for manual activation. Save the file using a descriptive name. Browse to and open the returned license file. Your license is installed. Click Done.